Lobster boats sit moored in Vinalhaven’s harbor. 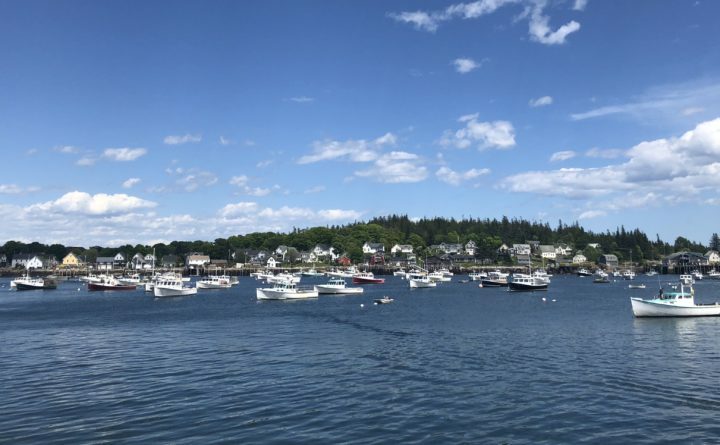 A Vinalhaven man will serve 45 days in jail for attempting to ram his lobster boat into another boat that was carrying two men. Carl B. Gross, 32, received his sentence this week following a deferred sentencing agreement. As part of the agreement, Gross pleaded guilty to charges of reckless conduct and operating watercraft to endanger, according to court documents. He was sentenced to serve one year in jail with all but 45 days suspended. Charges of criminal threatening and terrorizing were dismissed. Gross will begin his sentence Feb. 1, 2019. The incident occured Nov. 30, 2016, in Vinalhaven. Gross allegedly attempted to ram his boat into a skiff carrying two men. The boat made contact with the skiff, but the men were able to get off the smaller boat and onto nearby floats, the Courrier-Gazette reported.